Plannco Steel Products is a leading company engaged in manufacturing, wholesaling and retailing a huge gamut of Industrial Racks, Slotted Angle Racks, and Mezzanine Floors to the clients. 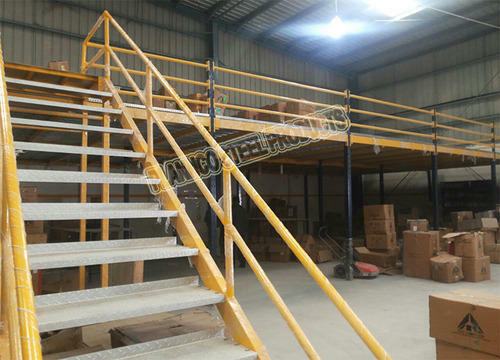 We are a prominent manufacturer, wholesaler and retailer of Mezzanine Floors, Industrial Racks, Slotted Angle Racks and Pallet Rack. These are manufactured using high-quality stainless steel and advanced manufacturing techniques as per the internationally accepted norms and standards. Our products are widely demanded by different restaurants, hotels, and cafeterias for their high-end features like high operational function, reliability, and durability.